Big changes could be on the way for the Resident Evil series, both in terms of direction and personnel, if comments from Resident Evil 5 producer Jun Takeuchi are any indication. Speaking at a Resident Evil panel at Comic-Con, Takeuchi was asked by a fan about the possibility of a total series reboot for the next main game. His response? A little...different. Seems Takeuchi and fellow RE veteran Masachika Kawata are playing blackjack to see who will end up producing the next Resident Evil game. For real. But they're not playing alone, because Takeuchi followed that up by saying "it doesn't appear as though either of us is going to be in charge" of the next game. Interesting! 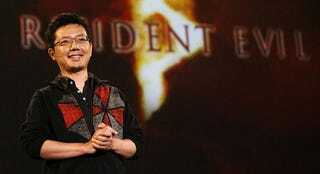 You've got to wonder, after the lukewarm reception Resident Evil 5 received, who's going to end up producing RE6? The winner of this blackjack series, or the loser?